In this tutorial you are going to learn how to backup iPad to computer. 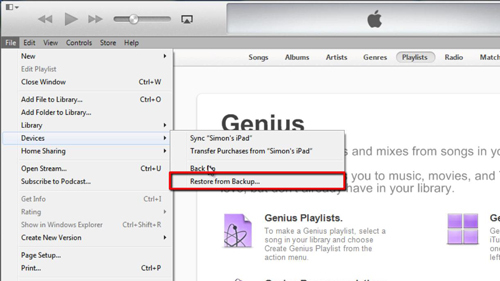 This tutorial is going to look at backing up through iTunes. Before we get started on the backup procedure you are going to need to take your iPad and connect it to your computer using a USB port. 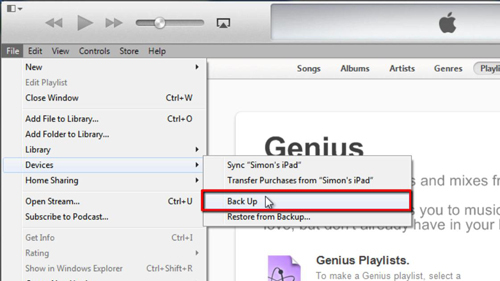 Open iTunes if you do not have it open and click “File”, navigate to “Devices” and click “Back up”. At the top of the screen you will see a progress bar telling you of the progress of the backup, this can take a while and you simply need to wait for the process to complete. Once the bar has disappeared your back up will have been made. If you want to make extra sure you have a backup it can be a good idea to store the files externally, either on a hard disk or DVD. 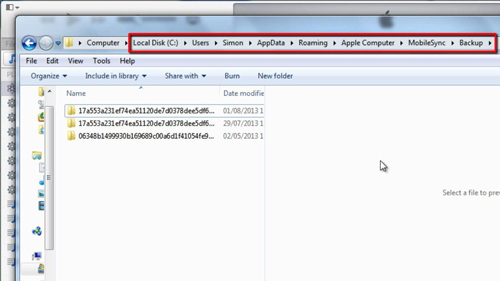 To find the backup files, navigate to this folder, which can be found in “C, Users, your user name, AppData, Roaming, Apple Computer, Mobile Sync, Backup”. You can then copy these files to any external location. It’s all well and good having back ups, but what if you want to use one of them to restore your iPad to a previous point. All you need to do is click “File” again, navigate to “Devices” and click “Restore from Back up”. In the dialog box that appears, click “Restore” and the process will begin. Your iPad will say “Restore in Progress” on its screen. You will need to wait for this process to complete which can take a few minutes. The window will close when it is done and then you just need to power on your iPad. 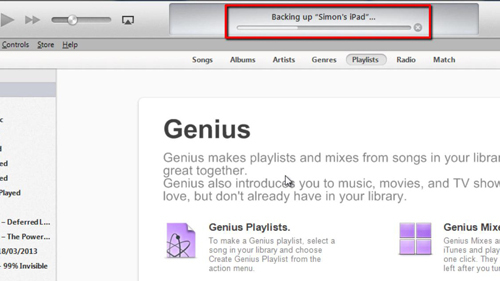 That is the simple process for how to backup iPad to computer.